Some of the Tennessee self-guided driving tours have been nationally recognized. These National Scenic By-ways take travelers through lesser known parts of the state. Some, like the Tennessee Overhill, carry travelers through portions of several states. 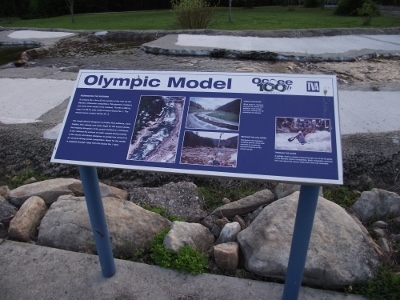 In this case, visitors can journey through portions of the Cherokee National Forest in North Carolina and in Tennessee. 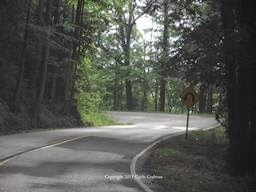 The Ocoee Scenic Byway is another popular National Scenic By-way. This was once part of a copper road that took travelers to Copperhill, Tennessee. Other spots along this route are historic or recreational. Scenic overlooks give good views of the Cumberland Plateau and Blue Ridge Province. We've talked about fall color on the Cherohala Skyway in a previous post. This has some of the most stunning scenery that you could ever hope to find. My family always has a great time when we take this drive. We were told that it only takes two hours to enjoy this drive. That's not the case. We've never made it in less than a half a day. A few other self-guided auto tours have been designated as state byways. One of my favorite byways is the White Lightning Trail. There's just something about the name that intrigues me. This trail takes visitors through the moutnains of East Tennessee from Cocke County into the Cumberland Gap. There are dozens of interesting sites along this route. Three sites that I enjoy visiting on the Tennessee Scenic Byway are the Museum of Appalachia, Norris Dam and Shady Grove Meadery. These are accessible by I-75 Cleveland exit 22. Turn away from town and follow the signs to each attraction. Fall color will be here before you know it. We'll talk about other trails between now and then. Fall is a beautiful time to hit the open road in East Tennessee.